Fraud is a never-ending issue for those running a business. 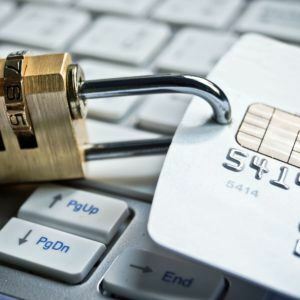 Companies across all industries – especially payment providers – are constantly looking for new ways to help merchants stay ahead of fraudsters keen on stealing their important business data. Banks are using mobile devices as a second factor of authentication, so fraudsters have now started to target cell phone providers. Payments Source states that in 2019, spam call volume is expected to increase to about half of all calls. Collaboration between financial services providers, device makers, and wireless carriers will be a big part of defeating the takeover of spam calls. According to credit bureau Experian’s recent risk forecast, data breaches have been a major threat to the payments industry for more than 13 years, and Experian says that even bigger data breaches could occur in 2019. For example, a major wireless carrier could be attacked, and mobile devices loaded with payments and financial data which could possibly disable all wireless communications. Recently, identity theft has increased, and passwords have provided less protection from fraud. According to Payments Source, technology companies of all kinds are working to figure out a more streamlined and consumer-friendly approach to verify their identities. Digital IDs are currently used to authenticate payments, but companies are discovering that there must be a better way. Mastercard and Microsoft are the first to act, and they plan to collaborate on a decentralized digital ID approach. Collaboration across industries will be key to creating a trusted and secure digital ID system. Sunil Madhu, co-founder and chief strategy officer of Socure, a leader in high-assurance digital identity verification, says one approach could be designing a way for federations to work as a mechanism for transferring a consumer’s ID credentials from one point to another. There will be a higher cost for both privacy and security in the payments industry. According to Payments Source, consumers are paying for password-management services, getting rid of companies and apps they don’t trust, and seeking out companies, products, and services that promise to protect privacy and data. New companies are beginning to create a more decentralized and ethical approach to protecting the data and privacy of individuals. Adam Levin stated that “Europe’s GDPR gives consumers the right to be forgotten, and we’re going to see more requirements like this for consent and disclosure, and new rules about how data is stores and shared. Canada has a tough new privacy law, Australia has gotten tougher on privacy and China is following that trend.” The United States could soon be on that same track. Learn How You Can Protect Your Business!